26 years ago, on April 26, 1986, a catastrophic nuclear accident occurred at the Chernobyl Nuclear Power Plant situated about 130 km north of Kiev, Ukraine, and about 20 km south of the border with Belarus. The explosion and fire released large quantities of radioactive particles into the atmosphere that spread over much of Western USSR and Europe, contaminating large areas of Belarus, Ukraine, Russia and beyond in varying degrees. The Chernobyl Disaster, the worst nuclear power plant accident in history, is the first of the only two classified level 7 events on the International Nuclear Event Scale; the other being the Fukushima Daiichi nuclear disaster in 2011. The Soviet Union claimed that the Chernobyl Disaster, was a unique event and the only accident in the history of commercial nuclear power, where radiation-related fatalities occurred. They said the design of the reactor being unique the accident is thus of little relevance to the rest of the nuclear industry outside the Eastern Bloc. The Chernobyl Power Plant Complex consisted of four nuclear reactors of the RBMK-1000 design with units 1 and 2 constructed between 1970 and 1977, while Units 3 and 4 of the same design completed in 1983. Two more RBMK reactors were under construction at the site at the time of the accident. To contain the contamination and avert a greater catastrophe, the Soviet Union employed over 500,000 workers and spent an estimated 18 billion rubles. According to the Soviets, the accident destroyed the Chernobyl unit 4 reactor, killing one person immediately while a second person died in hospital soon after due to injuries. A third person died from a coronary thrombosis. Out of the 237 people on-site originally diagnosed for acute radiation syndrome (ARS) during the clean-up, 134 cases were confirmed. Of these, 28 people died as a result of ARS within a few weeks of the accident. Subsequently 19 more died between 1987 and 2004, however, their deaths cannot necessarily be attributed to radiation exposure. Nobody off-site suffered from acute radiation effects although a large proportion of childhood thyroid cancers diagnosed since the accident is likely to be due to intake of radioactive iodine fallout. The official Soviet casualty count of deaths is under dispute. Long-term effects such as deformities and cancers are still being accounted for. By October 1986, the Soviets enclosed Chernobyl unit 4 in a large concrete shelter to allow continuing operation of the other reactors at the complex. However, that concrete structure is neither strong nor durable. Around 200 tonnes of highly radioactive material remains deep within it, and this poses an environmental hazard until it is better contained. ACCORDING to the Department of Atomic Energy and the authorities of Nuclear Power Corporation of India, the loading of uranium fuel rods at the 1,000 MWe-capacity first unit of the Koodankulam Nuclear Power Project was completed on 2 October last year, but has not produced a single unit of electricity so far. Critical equipment supplied by Atomstroyexport of Russia, building nuclear reactors abroad, were found to be shoddy and have developed leaks even before commissioning of the plant. The financial statement released by Atomstroyexport shows its losses have doubled in the last year and it is on the brink of bankruptcy. Russian engineers at the Koodankulam plant site have not been able to plug the leaks. In a desperate attempt to commission the plant, as Prime Minister Manmohan Singh has made it a prestige issue, NPCIL has flown in technicians from Croatia and Germany to carry out repairs in the Russian designed and erected plant. NPCIL claims to have spent an excess of Rs. 4,500 crore on the non-functioning power plant. The People’s Movement Against Nuclear Energy has threatened to lay siege on the Koodankulam nuclear complex in a non-violent manner if the Centre commissions the first unit in haste and secrecy without attending to its safety requirements, and sought a White Paper on the KKNPP and its reactors from the Centre. It was turned down. An official statement issued by NPCIL on 25 January said the Atomic Energy Regulatory Board has given permission to “repeat the full systems test at the first unit.” One needs to repeat a test only if it failed in the first instance. NPCIL’s desire to gloss over its failure and make it seem as if the ‘permission’ is a hard-won victory is understandable. But why is the AERB condescending even after RK Sinha, chairman of Atomic Energy Commission, had said that “there are some system parameters like flow, pressure, temperature that need to be maintained within particular values.” During the first hydro test conducted last December, certain valves did not behave the way the manufacturer claimed they would. These valves were opened, repaired, and some components replaced. The fact that brand new valves malfunctioned raises questions about the quality of equipment supplied. Identification of defective valves at this late pre-commissioning stage suggests that the quality of assurance of individual components was deficient. In February last year, Russia’s Federal Security Service arrested Sergei Shutov, procurement director of Rosatom subsidiary Zio-Podolsk, on charges of corruption and fraud. Zio-Podolsk is the sole supplier of steam generators and some other key components for Russian nuclear reactors worldwide, including India. Shutov was charged with using cheap Ukranian steel blanks in nuclear reactors. NPCIL should reveal whether the leaky valves were supplied by Zio-Podolsk. A PTI feature issued in July 2011 reveals, quoting DAE sources, that the Koodankulam plant was expected to be commissioned in March 2009, long before protesters held up work on the project for nearly six months, but was delayed because of difficulties experienced in receiving equipment from Russia “in sequential order.” The article says: “The designers discovered that several kilometers of power and control cables in the reactor were missed after the completion of double containment of the reactor.” The problem was rectified after the cables meant for power supply to instrumentation in different buildings were incorporated by breaking open the concrete walls in the containment domes and was sealed again bringing the cables from the switch yard to inside. Breaking open and resealing the containment dome is unprecedented in nuclear power industry. As the Manmohan Singh government is determined to unleash all kinds of atrocities on peaceful protesters against the shaky Koodankulam plant like filing 325 cases including sedition, waging war on the Indian State and on other serious sections of the Cr PC and IPC with 5,296 named as accused and 221,483 unnamed accused at one police station alone near the plant site, PMANE has taken up the issue with Congress vice-president Rahul Gandhi who had earlier reached out to the tribal people opposed to Vedanta Resource’s Rs. 4,500-crore bauxite mining project in Orissa’s Niyamgiri Hills. Rahul had then said: “True development takes place by respecting the interests of the poor,” and offered to be their sipahi in Delhi. SP Udayakumar, coordinator of PMANE, in a letter to Rahul, said if the Congress did not respect people’s power, democracy and peaceful struggles, and starts the Koodankulam plant forcibly, it would prompt the voters at least in Tamil Nadu and Kerala to shun the Congress. Unmindful of the people’s fears about the breaking open and resealing of the dome of the Koodankulam plant, the AERB, DAE and NPCIL remain tight-lipped. Even a small mishap in a nuclear facility will have the potential to destroy millions of people in our densely populated country. In a recent report, the Comptroller and Auditor-General of India has passed strictures on the ‘toothless’ AERB for not even ensuring nuclear and radiation safety in any of the atomic installations in the country. The long-awaited Nuclear Safety Regulatory Authority Bill, tabled in the Lok Sabha on 7 September 2011, ostensibly to bring about much needed independence and transparency in administering safety of nuclear operations, remains a non-starter. According to A Gopalakrishnan, former chairman of AERB, the Bill fails to serve any of its laudable objectives in its present form. The Bill seeks to establish a Council of Nuclear Safety to be chaired by the Prime Minister and will have as its members five or more Cabinet ministers, the Cabinet Secretary, chairman of the AEC and experts nominated by the Union government. The CAS will constitute two search committees, one to select the chairperson and the other to select members of the NSRA. The CNS is empowered to create an Appellate Authority to hear any appeals on any order or decision of the NSRA. The same Appellate Authority will also decide on appeals from the government against the NSRA. What the government tries to do under this Bill is to create a high level council under the chairmanship of the Prime Minister to control and curb the freedom of action of the NSRA. Clause 20 of the Bill stipulates the NSRA should function in a manner consistent with the international obligations of India. If the NSRA were to find the equipment supplied by Russia to the Koodankulam plant substandard and do not conform to safety norms, the regulatory body dare not act for it would be contrary to “India’s international obligations” Prime Minister Manmohan Singh has promised unilaterally to his Russian counterpart while on a visit to Moscow in December 2011. Sam Rajappa is a journalist with over five decades experience in media. He is The Weekend Leader’s Consulting Editor. Sam started his career in journalism in 1960 as a sub-editor with the Free Press Journal in Bombay. In 1962 he joined The Statesman in New Delhi and later moved to Chennai. He was associated with the paper till 2008. In 1980, he took a year’s sabbatical from The Statesman to set up the South Indian network of India Today, and worked as their South India bureau chief based in Bangalore. Again, he took a short break from the paper in 1996 to launch The Andhra Pradesh Times, an English daily published from Hyderabad, as its founder-editor. For about fifteen years, since 1980, Sam was also the BBC’s South India correspondent. He was an adjunct faculty member of the Chennai-based Asian College of Journalism from 2001 to 2007 and later served as Director of The Statesman Print Journalism School, Kolkata. I knew we were in trouble when the young auto-rickshaw driver pulled his vehicle off to the side of the road to take a phone call. Normally Indian taxi drivers take their mobile phone calls while driving at breakneck speed weaving in and out of traffic with an inch to spare either side. This was unusual. We had just slipped past the police barricades at the entrance to Kundakalum town with the plastic flaps of the rickshaw down protecting us from the monsoon rains and the lazy eyes of police on the lookout for any foreigners or troublemakers who dared to stray into this forbidden zone. When the driver started to turn around to head back into town, my instincts automatically kicked in to bail out of the rickshaw: I grabbed my suitcase, tripod, camera bag and a perplexed three-year-old Omar. Partner Treena jumped out as well. The next few minutes are a blur. A mad frantic phone call from the driver back to the police in nearby Kundakalum reported our attempts to do a runner. I thought of wrestling his mobile out of his hand but then thought better of it. Next I dashed to the side of the road, little better than a goat track, and tried flagging down a car and then a young lad on a motorbike. God knows how I intended to fit two adults, a toddler, plus a heavy suitcase and camera equipment on the motie – had the kid stopped. Some old women collecting firewood seemed to know our purpose and gave encouraging fist waves to keep going. A lumbering fish truck returning to our intended destination of the seaside village of Indinthakarai came into view. Like a man possessed, I stepped into the middle of the road to flag it down. By now a plainclothes cop on a motorbike had appeared. But I wasn’t to be stopped. Having flown over 10,000km to record our prime minister Julia Gillard offering to sell uranium to the Indian PM and then another 3,000km from New Delhi to the southernmost tip of India, I wanted to reach the valiant anti-nuke fisherfolk of Indinthakarai. This where the Russians have built two nuclear power plants on a seismic fault line – right where the Boxing Day tsunami of 2004 swept nearly two thousand locals to their deaths and demolished all buildings in its wake. Two carloads of police soon turned up and we were bundled into the 4WD headed back to the Kundakalum cop shop. With his bullet-bald head and an impressive handlebar moustache, deputy superintendant NK Stanley Jones was an Indian cross between Kojak and Jimmy Edwards. He was decidedly unimpressed with my feeble story that Omar had a fascination with fishing boats and wanted to visit the seaside fishing village of Indinthakarai. Why this particular part of the coastline, I would have immediately asked, when there are thousands of kilometres of beachfront around India? ‘It is a prohibited zone!’ he said, eye-balling me from across the table to see any falter, any slippery eye movement as Treena and I gave him our made-up-on-the-spot pitch. ‘The people there are dangerous!’ Stanley Jones told us. We showed Stanley our passports and gave him our mobile phone numbers to be duly recorded – which left me paranoid for the rest of the trip, as the activist phones there are all tapped by Indian state security. We’re talking national security and big bikkies here – $140 billion in nuclear power contracts if the Centre Government has its way. It would seem the nuclear lobby worldwide has a special dispensation for suspending people’s normal rights of assembly, freedom of speech and freedom of non-violent protest. I was smart enough this time to travel on a business visa. It cost four times as much as a normal tourist visa but worth every penny now that push had come to shove. I could truthfully say I was in India on business as a film producer and this was a side visit en route to the Kolkata film festival in a few weeks’ time. He looked at me over his handlebar moustache to see if he could detect any smug Anglo-Saxon superiority in my bearing or any other legitimate pretext to immediately deport me from the country. Three weeks earlier, three Japanese activists travelling on tourist visas didn’t get past the airport inquisition before being deported. Indian Security had intercepted their emails to Kundakalum activists before they arrived and were waiting for them. We were escorted out of town and sent packing. Back at our hotel the booking clerk was decidedly rattled. He’d been rung by police and his friendly attitude had changed. He demanded our passports again. We decided to pack our bags quickly and leave town before police googled my anti-nuke track record and came back. We hailed a passing bus and threw our suitcases and film gear onto it with the help of locals. I felt a huge surge of relief as we headed out of town. Four nights later, under cloak of darkness, I found myself bumping along another goat track entering the seaside village of Indinthakarai. A lit-up Virgin Mary bobbed along on the dash of the 4WD, turning blue to brilliant red to lime green and flashing purple as a very happy-go-lucky 74-year-old priest clapped along to a popular Bollywood song, and three strong anti-nuke activist women from Indinthakarai sang heartily. The priest told me he was married with a special dispensation from the pope in Rome and had two grown-up children. I felt like I was trapped inside a Graham Greene novel: all we lacked was the bottle of whisky. We were headed towards Indinthakarai via a little-known potholed road that hugged the sea coast. The next morning the village and I awoke to the bells of Lourdes church summoning people to early morning mass at 5.40am. The priest’s melodic voice incanted over the loudspeaker across the rooftops, for any worshippers too lazy to get out of bed. I watched as Leon the fisherman rubbed ‘440 days’ off the whiteboard and added a ‘1’ to it. For 441 days the people of Indinthakarai have resisted the dictates of the Centre Government 3,000km away in New Delhi to incorporate their village into the grand scheme of things. The growing Indian economy needs power. Power. More POWER to ‘beat’ China. To fill still more the overflowing pockets and black Swiss bank accounts of the burghers of Bangalore, Mumbai, Delhi and Kolkata. To put kids into sweatshops and factories at 10 years of age – dragged from finishing their schooling to make cheap acid-washed jeans, footwear and toys for a dollar a day for people living in western ‘democracies’ like Australia – items that last a day or two before they are sent off to landfill. The latest round of opposition to stop the opening of the Kundakalum nuclear power plants has raged for more than ten years now, with this last year seeing opposition to the Russian-built nuclear power plants at Indinthakarai reach fever pitch. They are a hair’s breath away from being fully operational. The nuclear fuel rods have been loaded. Tests are being done and are only waiting now for the green light. Maybe President Putin’s visit to India in December will be the symbolic moment for the plants to start generating power. However, seaside villages all along the coast, not just Indinthakarai at ground zero, have opposed the opening of the first two of six planned nuclear reactors every step along the way. Tens of thousands of fisher folk who live off the ocean have taken part in a series of hunger strikes and imaginative land- and sea-based demonstrations and peaceful blockades. They’ve buried themselves up to the neck in sand at the approach to the plants. They’ve immersed themselves in the ocean and blockaded the harbour with their fishing boats. These rolling protests, born out of the non-violent leadership of Mahatma Gandhi, have been continuous since 15 August last year – India’s day of Independence. Since then there have been two major police raids in March and September involving thousands of police each time. In the last raid, the police lathi charged (with bamboo sticks) peaceful protestors and beat everyone in their path who could not flee fast enough: children, the crippled, old men and women. 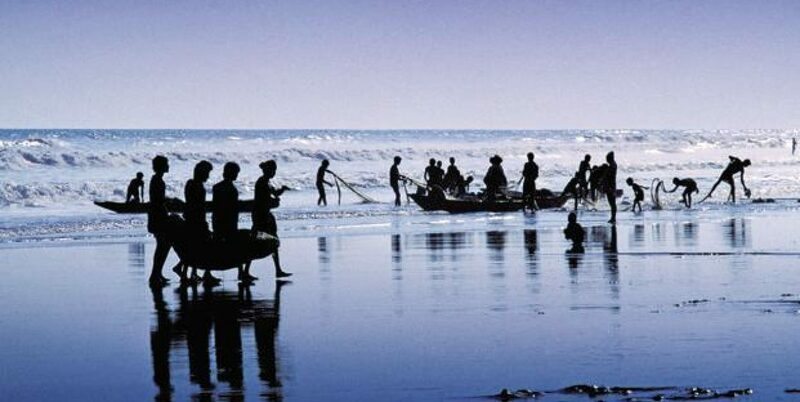 One fisherman was shot dead. Another fell down and died from his injuries. People threw themselves into the sea as they tried to escape the tear gas and baton charges. The tear gas shells used showed an expiry date of 2002, ‘Made in the USA’, and they caused permanent horrible sores on the faces of the kids and those exposed to the outdated chemicals. The police entered the Lourdes church, broke the statue of Mary and urinated in the foyer area of the church. All of this I was given as firsthand witness accounts. That is the price to people’s lives of going nuclear. I filmed for the next ten days and was given a very humbling and wonderful insight into the life of this courageous little village. It will form the basis of my next film which could be called simply ‘Business As Usual’ or more enigmatically, ‘The Ant in the Ear of the Elephant’ – an expression used by one of the leaders in Indinthakarai to sum up their chances of winning against the huge nuclear beast. An ant biting in the right place in the ear of an elephant can inflict a lot of pain and trip the animal up. That’s what’s happening in India right now. Certainly I enjoy the challenge and the adventure of going to places where authority and corrupt governance don’t want others to go and point a camera. It’s often quite nerve-wracking though, and sometimes dangerous to one’s life. However, I don’t go to the edge for the sense of the adventure it brings. I go there so I can inform other Australians and my local community about what’s really going on and the hidden agendas operating. If taking the risks involved – physical, psychological and financial – result only in a pat on the back for the courage it takes, that’s not enough for me. I want my community, my fellow Australians, to take ACTION with the information I bring back. Other communities who entrust me to film do so believing I can help them in their struggle. 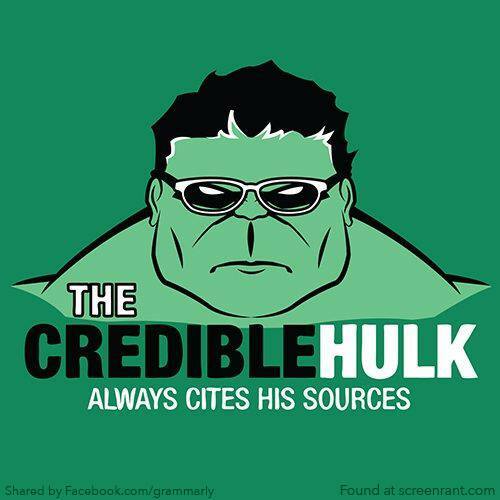 That’s the punchline for me. You have to take the information and run with it, and find ways of supporting the people of Indinthakarai by hassling the Indian government through the local High Commission in Sydney, Brisbane and Canberra. Let both the Australian and Indian governments know you don’t appreciate this brave community being put through outrageous and anti-democratic actions any more than you appreciate our government opening up our local area to CSG mining and so spoiling the aquifers forever. It’s about human greed by a few at the expense of the majority of us. And it needs ACTION. I’ve just been informed 30 people including the woman who helped me get to Indinthakarai have been arrested and detained by Tamil Nadu police. They join another 54 others who were arrested in September and have been refused bail, wasting away in dirty conditions in jail after a big police operation invaded their village and beat the daylights out of anyone who could not run away fast enough. These activists have been charged with various offences including sedition, being ‘terrorists’ and waging war against the state. Some charges carry the death penalty. They are ordinary people like you and me. The police couldn’t get away with putting me in jail, but they can do this to their own people. We have to agitate for their release. They are only exercising their democratic rights to non-violently oppose the spoiling of their ancient environment, the same as people opposing coal-seam gas fracking here. If anyone wants to contribute a tax-deductible donation to seeing the film completed contact david@frontlinefilms.com.au or 6684 0015. Stop Kudankulam fuelling, lives are at stake! The government, through its Department of Atomic Energy (DAE), the Nuclear Power Corporation Limited (NPCIL), and the Atomic Energy Regulatory Board (AERB) is racing to bring the Kudankulam Nuclear Power Project, Unit-1 (KNPP-1) to full-power operation at the earliest. The questions predominantly troubling the conscientious public today are simply these: Is the Kudankulam Unit-1 ready for introduction of nuclear fuel assemblies into its core (‘fuelling’), having fully completed all the safety modifications and additions recommended by AERB’s Post-Fukushima Committee to Review Safety of Indian Nuclear Power Plants? What other mandatory, pre-fuelling safety-related tasks such as conducting proper emergency drills in villages within a 30 km-radius of the reactors remain? What are the serious implications to public safety if NPCIL and AERB move forward with fuelling activity and bring this reactor to its full power of 1000 MWe in the current state of inadequate and incomplete safety status? On some of the glaring defaults of the current actions of the DAE, NPCIL and the AERB vis-à-vis KNPP-1, there are three Special Leave Petitions (SLPs) currently before the Supreme Court of India. The next hearing of one SLP that seriously pleads for stopping fuelling activity is set for September 27. As early as on March 26, 2012 , a writ petition (no. 8262) was filed in the Madras High Court for a direction against the DAE, NPCIL, AERB and others to implement all the recommendations of the AERB’s Post-Fukushima Report before fuel-loading is started. In response, the AERB counsel informed the court , “— that before initial fuel loading is done, the compliance of all the requirements under Annexure-8 (of the AERB report) will be ensured by the AERB and it is only after its satisfaction any direction (for loading fuel) will be given—” . Subsequently , the High Court decided to reserve its orders on August 2, 2012 , pending detailed judgement to follow. n the interim, since the court had not imposed any stay on actions by NPCIL and AERB, chairman, AERB, used this opportunity to issue a clearance for initial fuel loading of KNPP-1 on August 10 after reviews by their internal committees. The original petitioner then filed yet another writ petition (no. 22253) in the Madras HC on August 13, challenging the fuel-loading clearance given by AERB, even while 11 out of the 17 safety recommendations of the AERB’s Post-Fukushima Report still remained to be implemented. AERB, in reply to this writ petition, submitted two affidavits, first one on August 18 and another on August 22.
he post-Fukushima evaluations by an independent AERB committee, headed by a past chairman of the AERB had recommended 17 safety upgrades in Annexure-8 of its report. The committee, however, did not sort these on the basis of relative importance, urgency or priority. The sense you get from this report is that all 17 corrective steps are equally important and AERB must insist on all of them being fully implemented and tested before fuel-loading is permitted. This is consistent with the affidavit earlier submitted to the Madras HC by Mr R. Suresh Kumar, counsel for AERB, “ — that before initial fuel loading is done, the compliance of all the requirements under Annexure-8 will be ensured by the AERB and it is only after its satisfaction that any direction will be given—–” . “Based on the review and resolution of NPCIL submissions, AERB agreed for short-term (less than six months) and long-term ( less than two years) implementation of the Post-Fukushima recommendations from the date of the fuel-loading clearance”. Ultimately, the Madras HC did not agree with the plea of the protesters for full implementation of Annexure-8 safety steps before fuel loading is initiated and the matter is now being heard by the Supreme Court. Even as the Supreme Court hearings are going on, the NPCIL and the AERB are already loading the nuclear fuel into KNPP-1. What the AERB has done is a total volte face of its earlier stated positions in the Madras HC, and contrary to the spirit and recommendations of the AERB Post-Fukushima Safety Evaluation Committee. This has happened because the DAE, NPCIL and AERB appear to be under the direct control of the PMO on the Kudankulam issue, and none of them dares to take any decisions on their own. The PM, is for months accused in the national and international press for India’s policy paralysis, the dwindling performance of the power sector, and for substantial slippage in the execution schedules of many major projects. During his last two visits to Russia, the PM promised expeditious completion of KNPP-1&2. The local protests at site have put a monkey wrench into his promises and timetable. PM and his PMO consider their face-saving to be more important than the possibility of imperiling the lives of people living near KNPP-1, and appear to have clearly instructed the DAE-AERB combine to rush through with commissioning the plant. The subservient DAE and AERB seem to be complying with his directions. In this hurried approach to starting the KNPP-1 project, what essential safety precautions are the NPCIL and AERB tossing by the wayside? As per current plans, the reactor will be operated at least for the first two years or more at the full power level of 1000 MWe, without its primary containment being assessed for its ultimate load-bearing capacity; without the availability of a portable diesel-powered unit with sensors and instrumentation to monitor essential safety parameters in case of a total blackout; in the absence of a set of mobile self-powered pumping set for emergency area use; without rectifying the serious inadequacies in instrumentation for independent monitoring of plant status during major accidents; and without the addition of mobile back-up power units like air-cooled diesel sets. Why each of these actions should take as long as 24 months to complete is unimaginable, but these actions have to be indeedexpedited, since they are all essential for mitigating the consequences of a major accident. The AERB committee has also strongly recommended the urgent installation of an additional seismically-qualified 8,000 cubic-meter capacity back-up water storage tank as an alternate source for use under emergency situations where such actions as injection of borated water into the core and into the spent-fuel pool, charging water into the steam generator secondary side, etc will require excessive amounts of water. The already provided emergency water-storage facility has not been seismically-qualified and may not withstand moderate earthquakes. This anomaly has to be urgently rectified through analysis and repair. This existing storage was also found to be inadequate in holding capacity , for removing decay heat for a period of a minimum one week . This too is to be rectified. In case of a beyond design basis accident (BDBA), the emergency operating procedures to be used are still to be formulated and documented, to help impart training on BDBA to the operating staff. It is more than 16 months since the Fukushima accident occurred and NPCIL has not even started planning for these procedures. Each of the above tasks is put in for “short-term” completion, namely, within the next six months. I doubt whether a satisfactory completion of many of these tasks can be achieved in six months, each may take more like one year at least. As it stands, the important point to note is that NPCIL and AERB are NOT going to carry out any of the short or long-term tasks mentioned above, before the reactor is fuelled and brought to 1000 MWe power level. This approach is totally unacceptable from the safety point of view. Whether these 17 safety corrections are implemented or not, the probability of a major accident will remain more or less the same. But, ALL these safety corrections are necessary to ensure that the mitigation of the consequences will be far more acceptable with the corrections implemented than without, and these safety corrections will provide a distinctly safer environment for populations around the KNPP-1. Therefore, ALL the above-mentioned long-term and short-term safety corrections recommended by the AERB committee must be completed before the reactor is fuelled. Whatever fuel so far loaded into the core can be taken out safely and stored for future use. The author Dr. A. Gopalakrishnan is a past chairman of the Atomic Energy Regulatory Board (AERB). Protests against the Kudankulam nuclear plant continue unabated with thousands of fishermen having laid siege to the port at Tuticorin today, demanding the closure of the controversial plant. 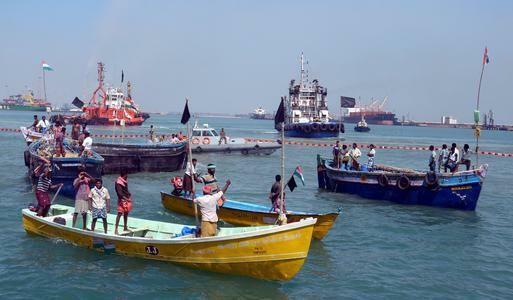 Nearly thousand fishing boats have blocked entry to the Tuticorin harbour, which is situated around 60 miles away from the nuclear power plant. The loading of nuclear fuel, which is on at one of the reactors at the Kudankulam plant, has not in the least dented the determination of the protesters, all fishermen hailing from the districts of Tuticorin, Kanyakumari and Tirunelveli – where the plant is located. “Fishermen in Kudankulam and surrounding districts are protesting over the last 400 days, but the government is not listening and we will have to resort to these kind of protests,” said a fisherman. These fishermen are worried that the plant, once commissioned, will destroy their livelihood. Subash Fernando, Spokesperson of the Agitation Committee, says, “Once the plant is commissioned, the radiation from it would disqualify our catch for export to the European market, and even if nuclear fuel is loaded, it’s not too late to stop it”.Two expert committees appointed by the government have found the plant to be safe, dubbing public fears unfounded. Tamil Nadu Chief Minister J Jayalalithaa, who initially supported the cause of the movement, later did a U-turn, citing that the project could bring relief to the state which is reeling under a severe power shortage. Around a lakh and half people, who live in the vicinity, are opposed to the plant. “If India believes in democracy, the government should listen to the people. If Japan could have a Fukushima disaster, imagine what could happen in India which was also hit by a tsunami not long ago,” said a villager. Presently, the Supreme Court is hearing a petition that challenges the go-ahead given to the nuclear plant. Petitioners cite that the plant is yet to incorporate 11 of the 17 safety recommendations made by a government task force after the Fukushima disaster. However, the atomic energy department claims these are only enhanced safety features which would be implemented in phases. At Idinthakarai – ground zero for the protests – just three kilometres away from the plant, around four to five thousand villagers are continuing their protest demanding the closure of the plant. Two weeks ago, around 10 thousand people marched towards the plant in a bid to lay siege; police opened tear gas and resorted to lathicharge to disperse the crowd. A non-bailable warrant has been issued against SP Udhayakumar, the face of the movement, as he failed to honour a court summon. He says “the government is trying to project them as the most wanted terrorists”. The Kudankulam power plant is the first nuclear project to near completion after the Fukushima disaster. Some countries like Germany have decided to turn away from nuclear energy and the international community is keenly watching how India handles the rising opposition to the project.. Protests against the Kudankulam nuclear plant continue unabated with hundreds of fishermen having laid siege to the port at Tuticorin today, demanding the closure of the controversial plant. Around 200 anti-nuclear activists were detained today in Tuticorin, while they were heading to Idinthakarai, the venue of protest against the Kudankulam nuclear plant in Tamil Nadu. The activists were set to join the villagers who have buried themselves neck-deep in sand along the shore, demanding a halt to the preparations for loading of fuel into one of two nuclear reactors at the controversial plant. Around 1000 villagers near Kudankulam, including women and children, buried themselves neck deep on the sea shore protesting against the upcoming nuclear plant. Over the last one year they have been demanding closure of the plant alleging the project would destroy life and livelihood. Two expert committees have found the plant to be safe. The Supreme Court too has refused to stay nuclear fuel loading. 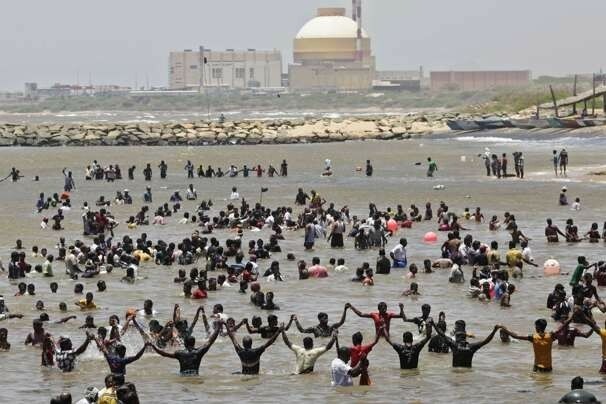 Hundreds of anti-nuclear protesters forming a human chain stood in sea waters for the second day today demanding halting of preparations for fuel loading into the Kudankulam nuclear reactor in Tamil Nadu.